Fights I would like to see made in 2007: Judah-Berto, Mesi-Holyfield, Forrest-Mayorga, Forrest-Mosley and More! 30.07.07 – By Ted Sares: Andre Berto-Zab Judah: Now that we know Berto can be hurt (by the same guy Judah demolished), this fight would be intriguing. If Zab wins, he is back in the mix, though it would help if he got a new trainer. If Berto wins, he steps up as the real McCoy and erases the Rivera embarrassment. Albert-Duddy: Both fought Yori Boy Campas. Albert beat him up; Duddy almost got more than he could handle. Let’s see how important a common opponent can be as a standard. Duddy, 21-0, 16 KO’s), has a solid chin, good power, and perhaps could stand up to Albert’s head shots, but his defensive lapses and propensity to cut and bleed could open the door to disaster. Eromosele “Bad Boy” Albert, 21-1, throws punches nonstop and is a pretty complete package with incredible energy and the Nigerian boxer-trait of sticking to an opponent like glue and not giving an inch. He appears technically sound in all facets. If Duddy is serious about moving to the next level, this might be the perfect fight for him. 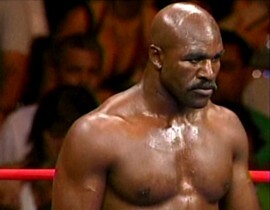 Mesi-Holyfield: Let’s make this fight (in Texas) and get some answers once and for all. Are Mesi’s hands too fast for Evander or has Evander once again become the Real Deal? If Evander wins, he can make a claim, albeit a faint one, for a title shot. If Mesi wins, he can argue he is fit and ready to take on stiffer competition. Yes, Mesi has to get by “Tank” Williams, but look for that fight to be over before you go get a beer. The slow “Tank” has been cherry picked and is perfect for the faster Baby Joe. As for Evander, beating the likes of Savarese, Maddolone and Oquendo does not in any way qualify him for a title shot, but then again, how did Ray Austin get one? Forrest-Mayorga: This assumes Mayorga gets by Vargas in their upcoming match which is not necessarily a safe assumption. But if he does, let’s see if Forrest’s two losses to Ricardo were due to a bad shoulder, or let‘s find out if Mayorga has Vernon‘s number. Fights for redemption can be highly entertaining. Shane seems to have found comfort in the Oscar De La Hoya mode of fighting once every year. Let’s find out if his body is rested enough to withstand the sting of a “Viper” with a proven sweet tooth. Clinton Woods-Glen Johnson: Johnson has earned the right to fight Woods again. They are 1-1-1- so its time to see who can break the tie, but let’s see if we can get this fight made somewhere other than in the United Kingdom. Being a Road Warrior is one thing, but fighting Woods three times in the UK is carrying it too far. How about a neutral site? God forbid, we would not want Glen to fight Woods in Miami, now would we?